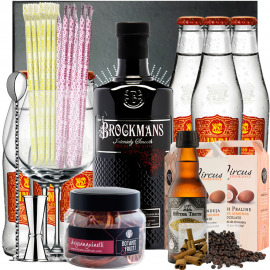 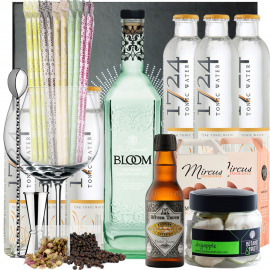 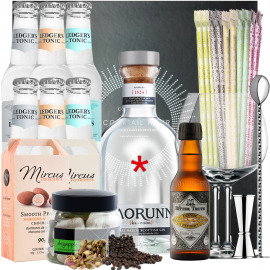 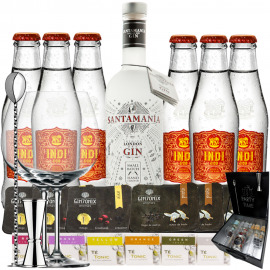 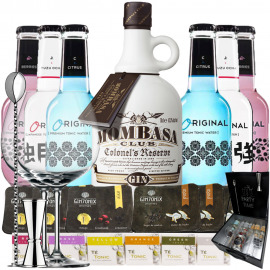 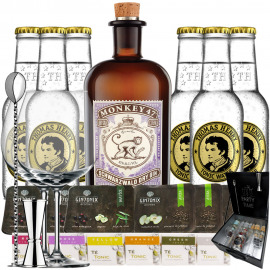 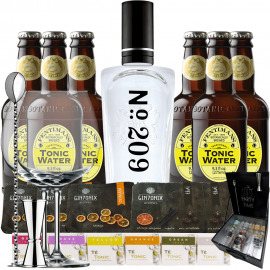 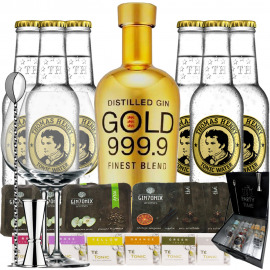 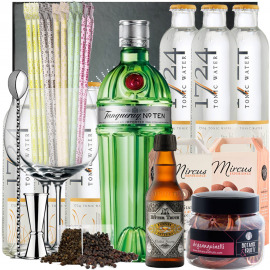 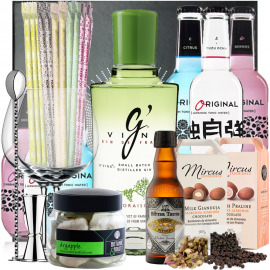 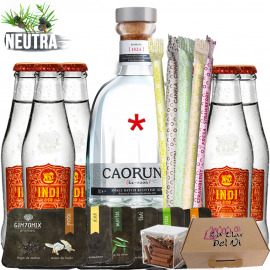 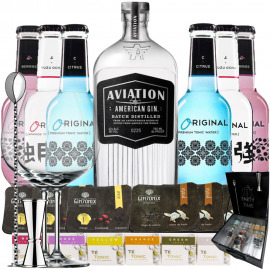 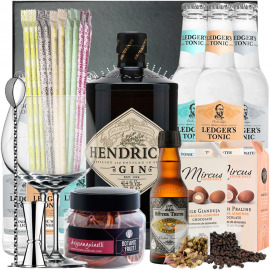 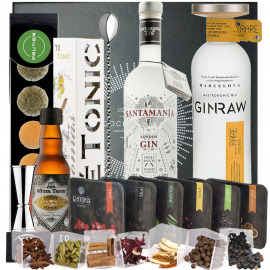 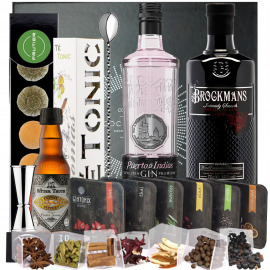 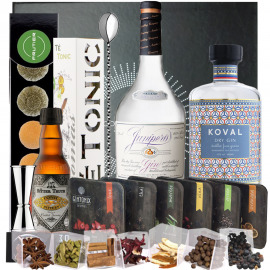 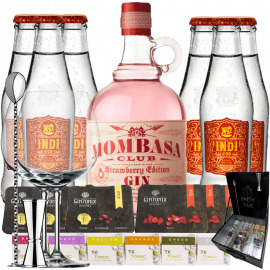 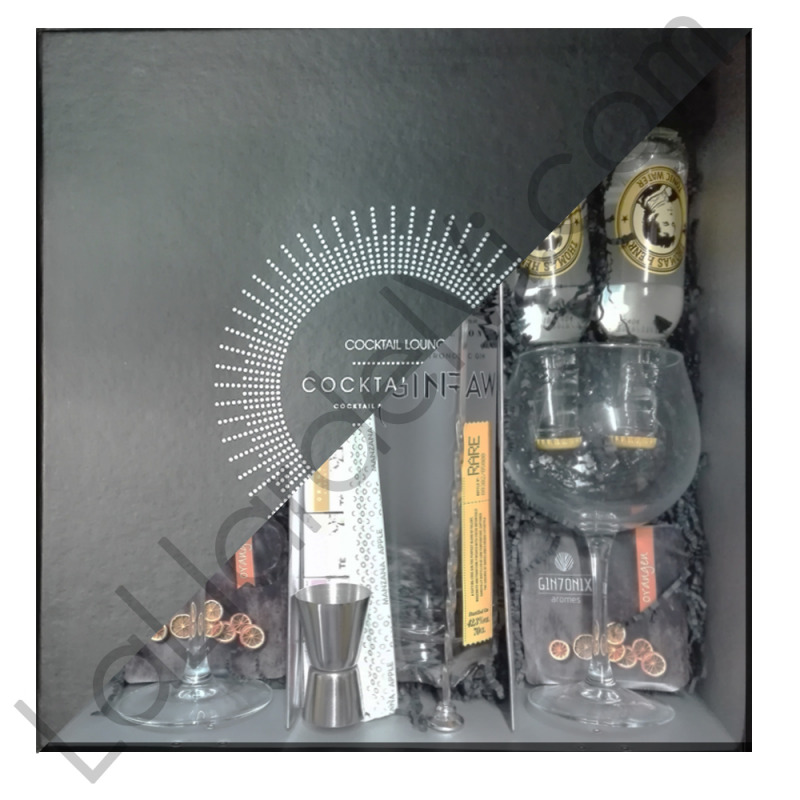 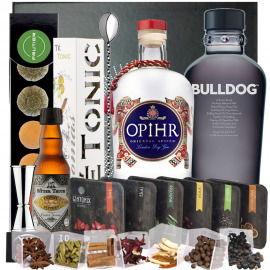 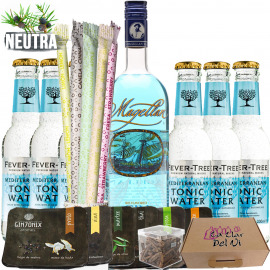 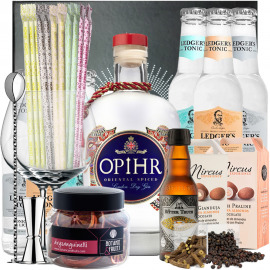 In this complete Gin Tonic Kit we find, in addition to the French gin, unique for its turquoise color, provided by the iris, Magellan 70cl 44% vol . 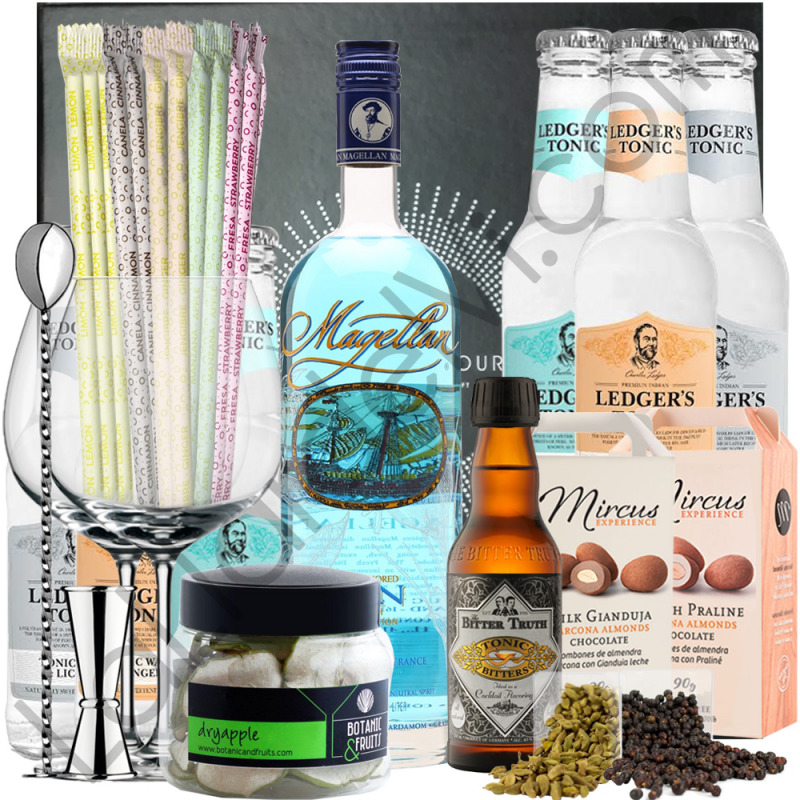 ; Six tonic Ledger's of three different flavors, twelve edible five flavors, Tonic Bitters 20cl , Mircus sweets, dehydrated apple, cardamom, juniper, two balloon globet gasses, measurer, braided spoon and a case. 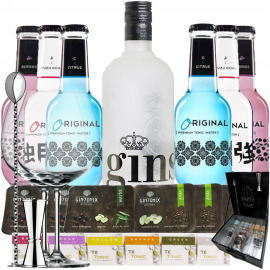 One Gin Magellan 70cl 44% vol. 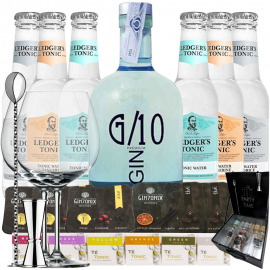 Six tonic Ledger's 20cl: From Germany, Ledger's is made with one of the best quinines in the world, the legendary chinchona, discovered by Charles Ledger. 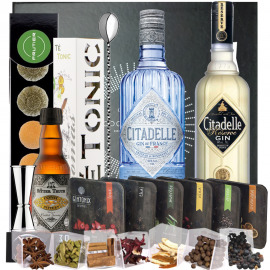 In the kit we find three different flavors; Premium Indian, sweetened naturally with stevia, two Tangerine, with tangerine and two Licorice, with licorice. 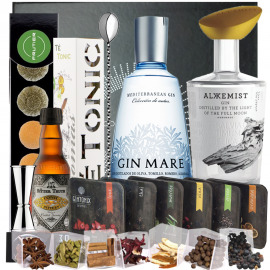 Magellanes a gin of Galo origin of quadruple distillation, in this last one add the botanists that make up the gin; the juniper, the clove, the cinnamon, the cassia, the orange peel, the grains of paradise, the nutmeg, the licorice, the cilantro, the cardamom and finally the root and iris flower that provide its characteristic color and aroma . 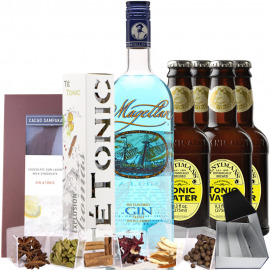 Magellan is a gin of bluish tones, with a light and balanced body, with floral notes with a citric point. 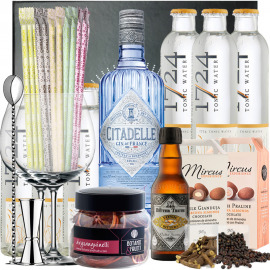 The Magellan gin is inspired by Ferdinand Magellan, who left in 1519 with five sailboats to search and explore the "islands of spices". 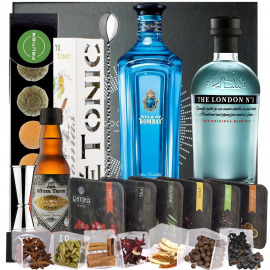 Three years later, I only managed to return a ship full of spices to Spain, without Magellan. 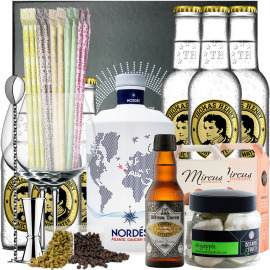 The expedition turned out to be the first circumnavigation of the Earth in 1522. 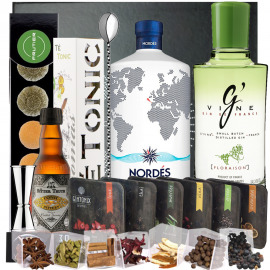 These spices are what Magellan is based on. 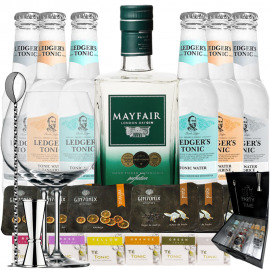 This gin is distilled by hand in small batches at the distillery of Angeac, in France, in the Cognac region, using exotic botanicals from around the world. 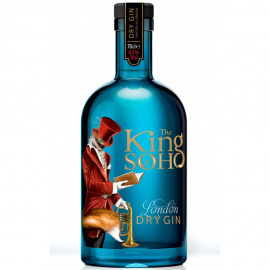 The base of the distillate is distilled three times before infusing the eleven botanicals. 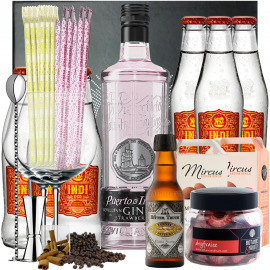 During the fourth distillation, alcohol is infused with the botanists in small batches in a copper still, using a special cloth, the elements are added to the wheat grain alcohol with water. 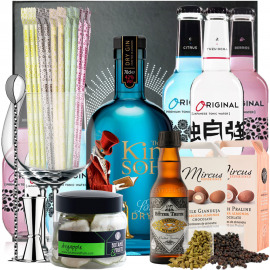 As a final step, the root and Iris petals are added to the gin, which give it that particular blue color. Magellan uses eleven botanists on a wheat grain alcohol base: Licorice, Juniper Berries, Orange Peel, Iris Root, Iris Petals, Paradise Kernels, Cardamom, Cinnamon, Nutmeg, Coriander and Clove.